Of course, you can play actual Pokemon games with these excellent emulators for Android! Or play something different with the best adventure games for mobile! Beastie Bay is developed by Kairosoft and it’s one of the more underrated games like Pokemon. This game is a mixture of a monster catching game and a sim so you’ll have quite a bit to do. The simulation side of it will have you building a city, planting crops, and managing all of its resources. You then go out into the wilderness, catch beasts, trade them, and battle them. There is a ton of game here and it should keep you busy for a long time. It’s a freemium game, but most of these are going to be. Bulu Monster is a little more in line with what you’d expect games like Pokemon to be like. You’ll be tasked with capturing a variety of creatures and then pitting them against other players. It has 150 creatures that you can capture and level up and a lot of the interaction with other players comes against real people via online PvP. It also boasts a campaign mode, plenty of quests to go on, and you can even play the game offline. You should be able to have a good time with this one for a while, even if it’s a freemium game. Clash Royale is one of the most popular card games out there and it takes a lot of its cues from the Pokemon card games. Players are allowed to build decks from a large cache of available cards and then they duel it out against other people online. You’ll earn chests that provide you with various resources along with new cards. It also has clan mechanics so you can join up with friends, duel them, lend them cards, and things like that. It’s one of the better games like Pokemon if you enjoyed the card version of the game. The only downside is the in-app purchases. Digimon and Pokemon grew up together and their card games play with very similar mechanics. Digimon Heroes is the latest mobile game in the franchise and it’s actually pretty good. Players will engage in three-card battles against other players to see who can come out on top. It features over 1000 cards to collect, various fusion and evolve mechanics that are in line with the game, and there are special events to help keep things interesting. It’s a freemium game and has a lot of those same pitfalls, but there is a lot of stuff here to keep you busy. EvoCreo is about as close to a Pokemon clone as you can get. In this jRPG title, you’ll be tasked with collecting your monsters, battling other evokers (trainers), and making your way through the storyline. The developers boast that the campaign will take you about 40 hours and that you’ll have 130 monsters that you can capture and evolve. It also features cross-platform multiplayer and the ability to customize your monsters to suit whatever strategy you cook up. It’s a paid game with in-app purchases, but the in-app purchases are entirely optional. Heartstone is another of the most popular card games out there. Players will have access to hundreds of cards to build a variety of decks to duel with other players online. Each deck that gets built can be saved for future use and most players manage multiple decks at once. There is a short campaign mode that helps you get into the game, but most of it takes place online against other people. It’s worth noting that your saved files are linked to your Battle.net account which allows you to switch between mobile and PC play without much hassle. Their in-app purchase strategy is a little less irritating as well. MonsterCrafter is one of the more unique games like Pokemon. Instead of giving you a ton of monsters to catch, this game lets you make your own. It uses a similar graphical style as games like Minecraft which allows for a very modular and customizable experience. Players will be able to build their own creatures and then battle them against other creatures to see who can build the best one. It’s a fun little premise with the only downside being the in-app purchases. Neo Monsters is another fairly decent Pokemon clone. Players in this game will be tasked with exploring six different worlds which the developers boast could take you as long as 60 hours. Each world has its own league that you’ll have to fight through to be the champion and there are also 140 optional missions that you can do online. The mechanics allow you to battle with four creatures at once and have a party of 16 which is pretty awesome. It’s a pay-once game with some in-app purchases that allow you to directly buy monsters if you really want to. Otherwise, it’s one of the more complete games like Pokemon. Pokemon TCG Online is an actual Pokemon game released by The Pokemon Company. Why play games like Pokemon when you can just play Pokemon, right? This one will have players starting out with a grass, water, or fire type deck and then building as you go. It features easy mechanics, deck customization, and practices matches against the AI that let you get better. You’ll also be able to expand your collection by buying booster packs with real money, winning them as prizes, or even trading with other players. It’s not bad, but it is freemium so beware of that. 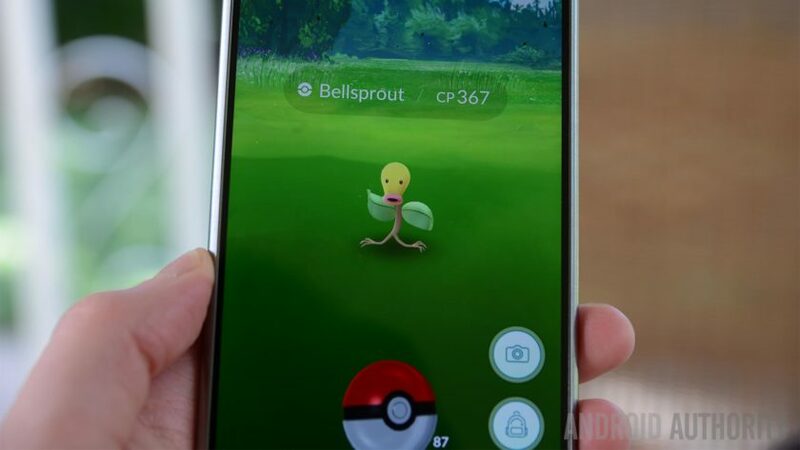 It doesn’t get any closer to an actual Pokemon game than Pokemon Go. This augmented reality game was released in 2016 and is the most popular mobile game of all time. The game gives you the opportunity to live the life of a Pokemon trainer. You’ll walk the actual world, catching and raising Pokemon as you go. Players can also hit up Pokestops for items and battle gyms for supremacy. There isn’t a story mode or anything, but it’s a good reason to get out of the house. The developer has also been working making things a little more interesting with new features that’ll be out sooner or later. Get your heart pumping with the best action games for Android! Or slow it down and enjoy the story in the best RPGs for mobile! If we missed any of the best games like Pokemon for Android, tell us about them in the comments! To see our complete list of best app lists, click here.